I happened upon your blog thru Google. 2 major problems with your data, What polls are you basing these numbers on? The RCP averages show almost a 50-50 split, which reflects the country pretty accurately based on political affiliation and LV polls. 2. If everything were this much of a fraud and conspiracy, Democrats would never win, which as we see is not happening. Also, a lot of the most populous states have democrat dominated election commissions . If fraud was true then democrats would have to be in on the conspiracy. Take some meds. I use the latest state polls. Apparently you never viewed the model. The fraud is systemic. Here is the proof. I would suggest that Obama was ‘allowed’ to win because the republicans knew the economy was about to tank and they didn’t want to be in the drivers seat. Now the economy is improving they want in again!! Allowed to win? It was too much to steal. He won by an approximate 23 million vote landslide. Massive election fraud reduced his massive landslide by 13 million to 9.5 million. 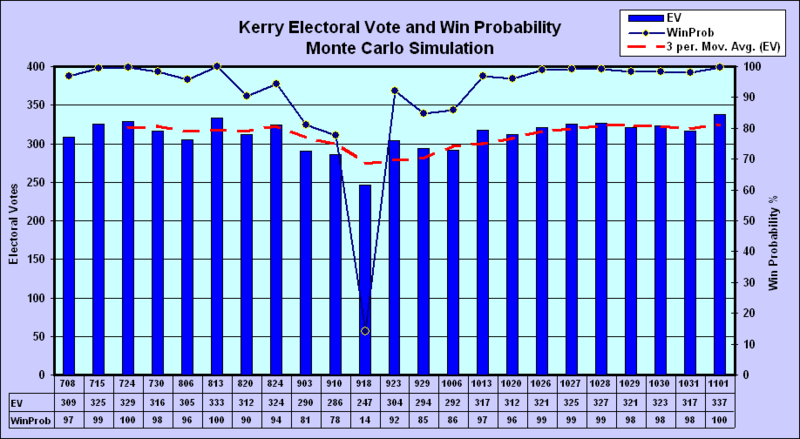 On the other hand Kerry won by 67-57 million in 2004. It was not enough. He “lost” by 3 million. Richard, I think what Mags was saying was that by making questionable choices, ie: Sarah Palin, the GOP deliberately tanked the election for the reason Mags stated. Your presidential projections always show the same party winning. That tells me your partisan. A quick search to find the sites you frequent and have been removed from confirms you are partisan. You can keep your stupid “analysis.” I’m too intelligent for you. Intelligent you may be but not well educated you said, “your partisan” but I think you meant “you’re partisan”!!! Tess, you are too intelligent for me? Well, it must be true because you have just provided an overwhelming set of facts to prove your case. NOT. Yes, you have proved I am partisan. NOT. OK, tell me specifically what you are looking for. Because you are too intelligent for me, I will try to locate them for you – since you are so intelligent and cannot bother to do so for yourself. Does your information prove that the Democrats did NOT win the TRUE VOTE in 2000 and 2004, and that Bush did NOT steal both elections. I would like to see it. Because you are so intelligent, you apparently have the proof and can show it to us. And because you are so intelligent, you can also prove that there is no such thing as ELECTION FRAUD. Yes, Tess, you are much more intelligent than I am. You are so intelligent, that I don’t expect that you will review the FACTS and the mathematical proof that the elections were stolen, based on the unadjusted exit polls and the True Vote Model and the reams of other evidence. You are too intelligent to have to actually do an investigation and analysis of the FACTS. Yes, Tess, I admit you are much more intelligent than I am – in your own mind. Tess, you are so intelligent that you have created a new meaning for the word “your”. Way to go! Richard, you present systematic differences between exit polls and recorded votes as proof of election fraud, but in order for that to be proof you must eliminate the possibility of systematic bias in exit polls. Have you considered that (1) exit polls do not include absentee and mail-in voters, (2) the majority of curmudgeons who refuse to be exit-polled might be Republican, (3) other potential sources of bias? Also are you familiar with Choquette and Johnson’s report that claims to prove vote-flipping starting in 2008? The anomalies they’ve identified do not exist in earlier years. I notice that, in your bar chart showing frequency with which MoE was exceeded, 2008 is much higher than all previous years. So maybe there was already a systematic bias and fraud was introduced in 2008. I would really like to see a comparison between exit poll results and Choquette and Johnson’s projections of the true vote based on smaller precincts. Have you looked at 2012 (and 2008) Republican Primary exit polls and found evidence of votes being shifted to Romney?? I have looked at Choquette’s work. It’s excellent and thorough. Very convincing. 1) Majority of refusers republican? That’s a worn out disproven myth. In fact the opposite is true. 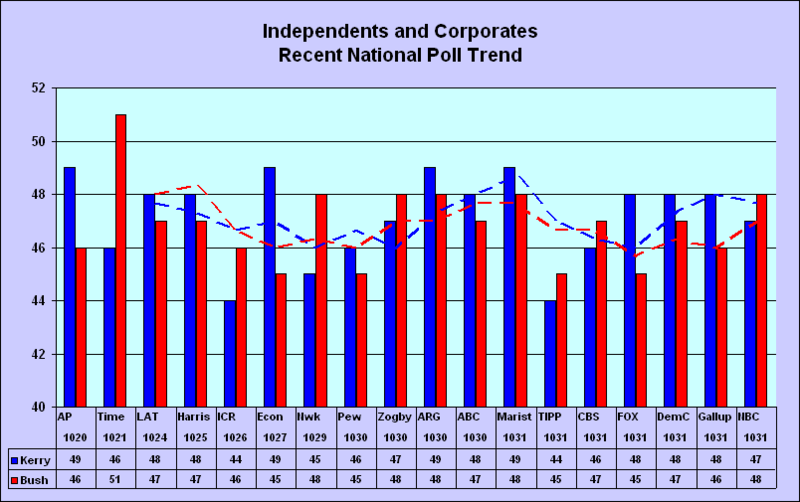 Check the 2005 exit poll evaluation report. Republican response was highest in republican precincts. 2) Exit polls do not include mail-in and absentee voters? These appear to be Democratic. Oregon, Washington and Colorado had tiny exit poll discrepancies in 2008- and just happened to be the states with the highest percentage of early (paper ballot) voting. 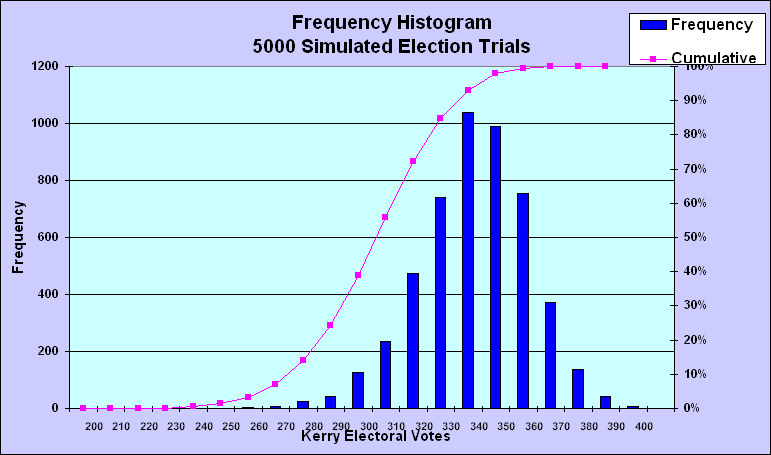 Obama had 52% of the first 121 million recorded votes and 59% of the late (absentee, mail-in paper ballots). 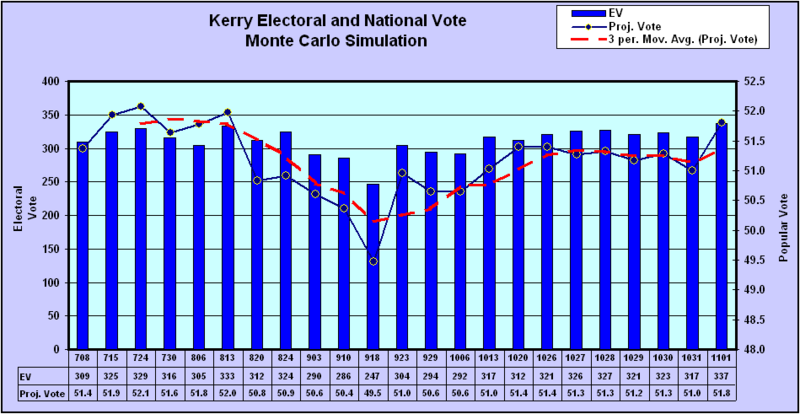 Kerry and Gore won the late votes recorded after election day by substantial margins. 3) Systematic election fraud takes place in every election. But 2008 was the worst; the margin of error was exceeded in 37 state exit polls. A couple of things: You say that “Obama had 58.0% in the unadjusted, weighted state exit poll aggregate”. I assume you are referring to the final feed from the NEP, after the polls close and the exit poll data is weighted, but before it is adjusted to conform to official results. What is your source for this data? As I recall, at the time the data was only available to subscribers who had to sign severe non-disclosure agreements. Second, assuming that voters who make up their minds at the last minute will be evenly divided is risky. I believe they historically break toward the challenger–obviously irrelevant in 2008, but relevant this time. Lastly, what is your opinion of the unprecedented level of early voting this year, and how it will affect the accuracy of exit polling? I am referring to the total 82,388 sample unadjusted state exit polls from the NEP. The data source is Roper; it is publicly available. Notice that the state exit polls are weighted by votes cast. Pre-weighted and weighted aggregate vote shares are shown. The weighted share is generally 1-2% higher than the unweighted for the Democrat. Obama had 61% in the unadjusted National Exit Poll (17836 respondents), but just a 52.87% recorded share. The pollsters had to effectively reduce Obama’s exit poll respondents from 10873 to 9430 (13.3%) in order to force the exit poll to match the recorded vote. It is true that undecided voters typically break for the challenger. I assume that the undecided will break fairly evenly. There are very few who are still undecided. 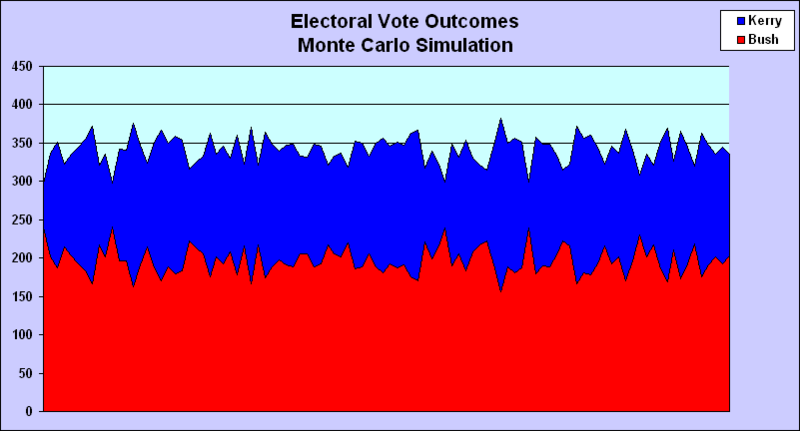 In any case, the LV polls understate Obama’s share because of the Likely Voter Cutoff model. Most rejected registered voters are Democrats. Since polling samples are at least partially based on prior election recorded votes and not votes cast, they are implicitly biased to favor the Republicans. That is another factor to be considered. 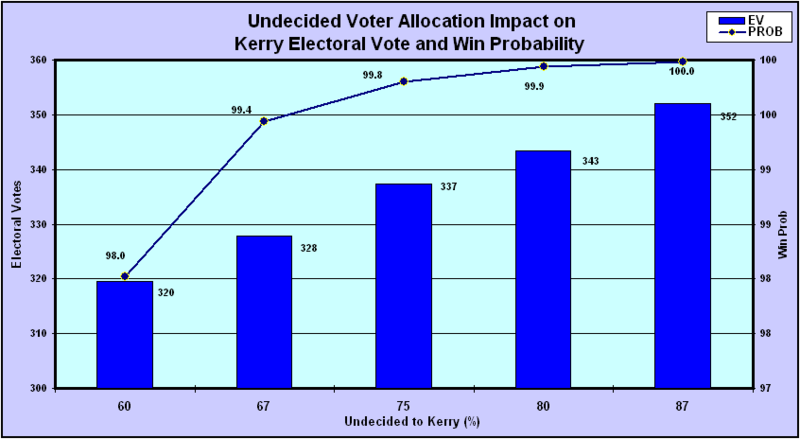 Bottom line is that undecided voters are a minor factor in any case. The pollsters have already allocated undecided voters since the totals are very close to 100% when you consider the third party vote – which probably hurts Obama more than Romney. As far as early voting is concerned, I believe it will favor Obama. High voter turnout always favors the Democrat. Finally, I will reiterate what I said in my daily update: Obama’s True Vote must be at least 55% to overcome the built-in systemic fraud factor.